LOST fans wherever you are show your support for the brave souls that are at the Prince Charles Cinema in old London town and synchronise your watches for the final few hours of the LOST Marathon. 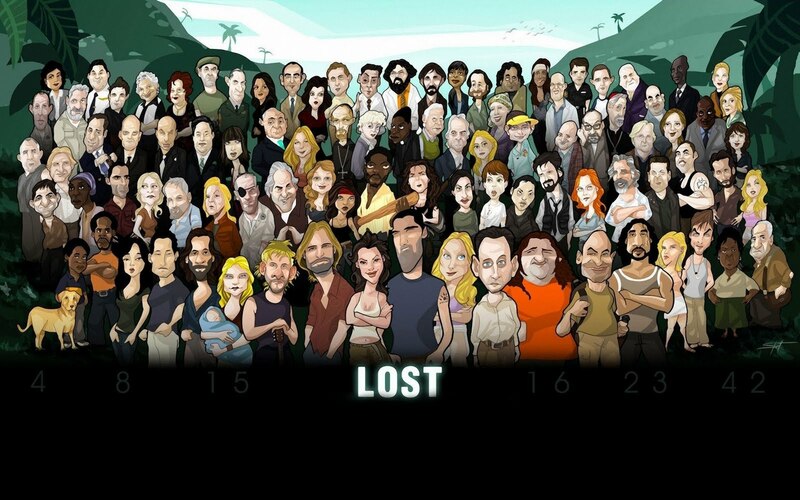 We want everyone from around the world to start and finish watching the final few episodes of LOST at the same time. Tell your LOST friends, tell everyone on Twitter, Facebook and anywhere else you frequent on the web. You can use the message below or one of your own devising, but please spread the word. "Why let #LostMarathon London have all the fun? Global Rewatch S6 episodes 15-17 details: http://bit.ly/brJT2x #imwatchingLOSTnow"
The LOST Marathon will finish Friday, September 17, 6 a.m. in the UK which is 1 a.m. Friday in New York, 10 p.m. Thursday, September 16, in California and 2 p.m. September 17, in Tokyo. To synchronise your watching of the final episodes you will have to start at 3:10am in the UK, 10:10pm in New York, 7:10pm in California, and 11:10am in Tokyo. Sorry- had to do that. hmm- 10 to 1 am doesn't seem too bad- especially in relation to everyone else! Good time to fire up the bluray! Hey, Just Thinking! Original time would have had ending midnight GMT Thursday. They revised the time this afternoon. Works for me, but keeps LOSTies another 6 hours. Not sure they are prepared! No way "1st Ever" Really. Hard to believe. Hey kids, can someone put in the day/date that it's going to happen? @Lottery_Ticket told me that the finish will be Thursday around midnight CDT, so if you could maybe revise the article to include that info, it will be easier to reference it. THANKS! Who created that picture from this post? Looks pretty awesome! Sorry about the date problem I was so caught up in getting the time right I forgot about the date. The date is now added to the main post. The image was obtained from This Site, just a stock wall papers site so I'm not sure who created it originally. They've changed the rules. 10 minute breaks now. @theotherben The original cartoon appeared in the Brazilian magazine, SuperInteressante. There was also an interactive LOST game on their website. I'm not sure if is is still active though. So what does that do to the start time of final global rewatch? 3 more breaks, so take off 15 minutes? @theotherben Here's the link to the SuperInteressante interactive game It's still up and fun! Click on "skill level" to start playing. And page where you can download wallpapers/screensavers and print an Oceanic flight 815 boarding pass. 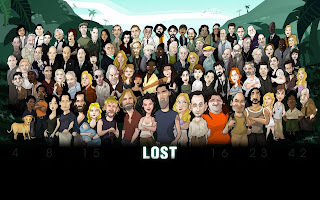 Will see you all at the global synched LOST Marathon RW!!! 8 p.m CDT "The Candidate"
Glad I could finish the marathon with everyone! It was amazing to hear from everyone watching it again! Sorry I couldn't make it for the last few eps, I set an alarm but my body didn't agrre with it ! Sounds like everyone was joining in. What an epic few days it has been. UK, Germany, Egypt, Japan, USA, Argentina identified themselves via Twitter. There is request for one on 9/22 The Pilot 1 & 2. Thanks again Zort70. Twitter viral a success. oh, dear, I forgot the Philippines! If you know any other countries that participated, add a comment. UK LOST Marathon - World Record ?